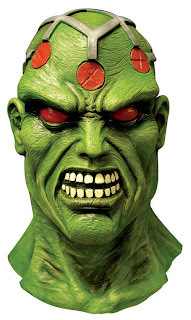 Brainiac is a fictional Character, a supervillain that appears in comic books published by DC Comics. The character first appeared in Action Comics (July 1958), and was created by Otto Binder and Al Plastino. An extraterrestrial android (in most incarnations), Brainiac is a principal foe of Superman, and is responsible for shrinking and stealing Kandor, the capital city of Superman's home planet Krypton. Due to complex storylines involving time travel, cloning, and revisions of DC's continuity, several variations of Brainiac have appeared. Most incarnations of Brainiac depict him as a green-skinned being in humanoid form. He is bald, except for a set of diodes protruding from his skull. The character is the origin of the informal word which means "genius". The name itself is a portmanteau of the words brain and maniac, with influence from ENIAC, the name of an early computer. In 2009, Brainiac was ranked as IGN's 17th Greatest Comic Book Villain of All Time - More about Brainiac Character Review...Keep reading !! Brainiac has a "12th-level intellect", allowing calculation abilities, enhanced memory and advanced understanding of mechanical engineering, bio-engineering, physics, and other theoretical and applied sciences, as well as extensive knowledge of various alien technologies. Compare this to the population of 20th century Earth as a whole constitutes a 6th-Level intelligence and the population of 31st century Earth as a whole is a 9th-Level intelligence. The character has created devices such as a force field belt and a shrinking ray capable of reducing cities. 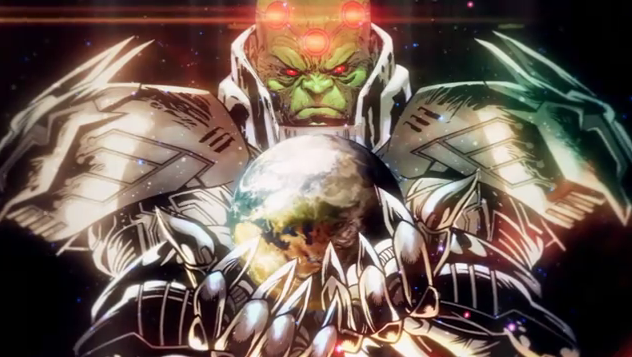 Brainiac's advanced mental powers have shown him capable of possessing others, absorb information from other beings, transferring his consciousness, creating and manipulating computer systems, replicate multiple versions of himself, and exerting powers to transverse or control over space and time. John Byrne's re-imagining of the character possessed telepathy and telekinesis that were further augmented by an implanted electrode head-piece. The most recent version of Brainiac (a living Coluan who utilizes android "probes") is connected to his ship in such a way that he can be disabled for a short periods if separated without warning. While inside his ship he is capable of fighting evenly with and overpowering the likes of Superman. He heals from injuries at incredible speed. After being separated from the ship he physically starts to deteriorate and is far less powerful. He is a biological creature that has altered his body to acquire more knowledge to become "better." With his ship, knowledge, and technology, Brainiac has captured thousands of cities and destroyed just as many civilizations. Brainiac returned in the 2006 direct-to-video animated feature Superman: Brainiac Attacks voiced by Lance Henriksen and he serves as the main antagonist. The movie begins with Brainiac landing on Earth in a meteor. Brainiac goes around absorbing information until Superman destroys him with his super-breath. However, Lex Luthor is able to save a piece of Brainiac and forms an alliance with the Kryptonian robot. Luthor gives Brainiac a new body, made from his satellite weapon. Brainiac is also equipped with a kryptonite beam and the ability to track Superman by his Kryptonian DNA. Luthor and Brainiac's bargain revolves around Brainiac using his new body to destroy Superman, and afterwards, Brainiac would allow himself to be "defeated" by Luthor and leave for another planet so that Luthor would appear as a hero. However, Brainiac betrayed Luthor after he believed Superman was destroyed, but in the end, Superman returned to defeat Brainiac after a lengthy battle. This time, Superman made sure that this copy of Brainiac was completely destroyed. 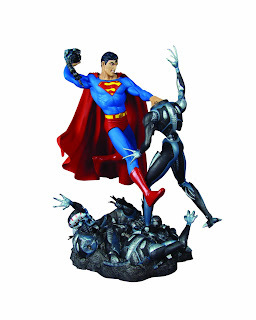 Although Brainiac does not appear in Superman: Doomsday, a statue of his robot head seen in Crisis on Infinite Earths was seen as a trophy in the Fortress of Solitude. In All-Star Superman, a statue of Brainiac resembling his pre-Crisis green-skinned version with robotic diodes is seen in Superman's Fortress of Solitude. 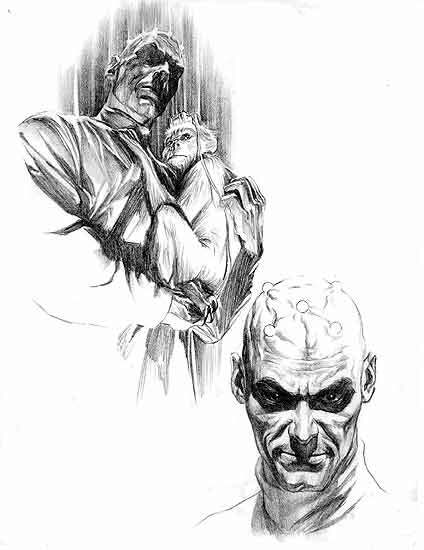 Brainiac was considered to be the main antagonist for Superman III, along with Mister Mxyzptlk, when Ilya Salkind made an early treatment. In the treatment, Brainiac was from Colu and has discovered Supergirl in the same way that Superman was found by the Kents. Brainiac is portrayed as a surrogate father to Supergirl and eventually fell in love with his "daughter", who did not reciprocate his feelings, as she had fallen in love with Superman. However, Warner Bros. rejected the treatment, and the final product featured a powerful computer as a major "villain." Brainiac was being considered, along with Lex Luthor, to be the main antagonist for the upcoming Superman film Man of Steel, a role that would eventually be given to General Zod. Brainiac is mentioned in the animated film Superman vs. The Elite as having eaten the city of Boston. John Noble will voice Brainiac in the film Superman: Unbound an animated adaptation of the 2008 story arc Superman: Brainiac by Geoff Johns and Gary Frank that would be released in 2013.